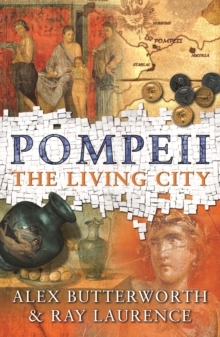 A visceral history of Pompeii - the living city brought back to life. This startling new book concentrates on the twenty years between 59 and 79AD, thus beginning with the earthquake which all but destroyed Pompeii and ending with the volcanic eruption which has become part of our collective popular imagination. Alex Butterworth and Ray Laurence have synthesised the latest research into Pompeii to bring this period of flux and instability back to life. By concentrating on key members from each strata of Pompeiian society we are plunged into the everyday life of a city rebuilding itself, in the knowledge that it will all be for nothing when Vesuvius erupts.